We've made it through two months of the year with daily #showmeyourboho Instagram photo posts. Now we are going to shake things up and challenge ourselves to use the Instagram stories feature every day. The prompts are designed to take you around various different spaces of your home. Be authentic! Don't skip a day just because you're nervous about how a space looks. But if you're not feeling inspired to take the challenge each day- definitely skip a day. And if a prompt doesn't apply to your abode, share something else that works better for you. You can still tag in your stories. Just the text option and typing a handle or hashtag with tag the story. 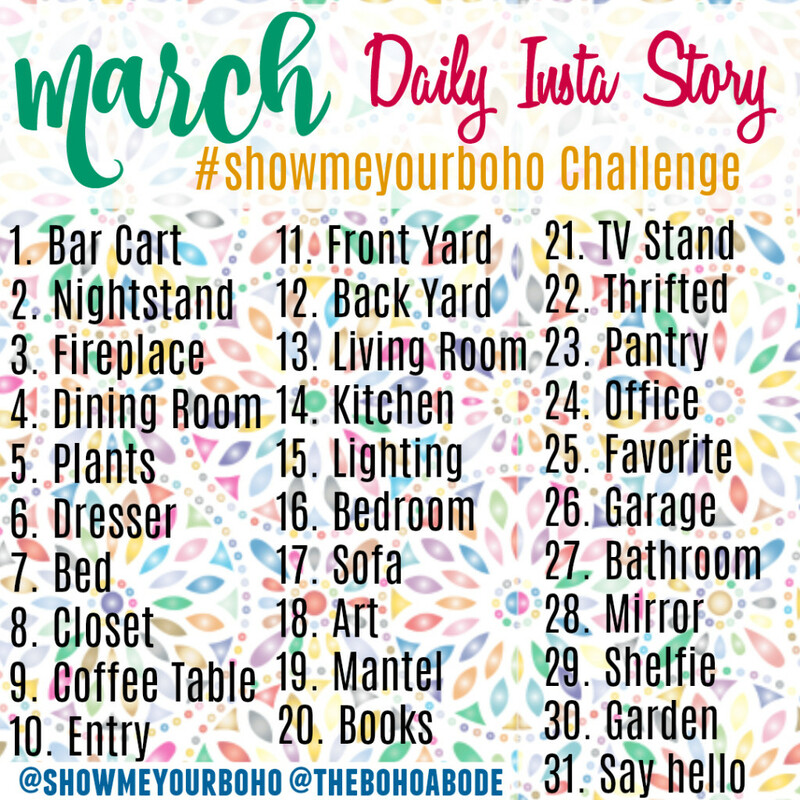 So make sure you're sharing your stories with #showmeyourboho. We will also be picking back up with our daily threads in the Facebook group- Bohemian Interiors. So each day you can leave your profile link so the tribe can come watch your stories and you can easily find and watch theirs, too. I hope you enjoy this spin on the daily challenges. If you just aren't into stories but still want to play along, you can use the prompts as daily photo inspiration, too.